About! | Nailart for funn! I’m an Irish girl living in Seoul, South Korea. I’ve been here for a while working and travelling. While I appreciate all the opportunities I have had here I am also really looking forward to the day I go home! That’s not too far away now and in the meantime to make the time go faster I have thrown myself into some hobbies. One of which is nail art. I love nail art for many reasons. It encourages me to be creative and daring. I feel like I can constantly learn from other bloggers both about technique and style. The more I read other blogs on this subject the more I see what a great online community there is for nail artists! I appreciate any comments/ suggestions as long as they are constructive!! Howdy Nicola! While you weren’t the winner for the sparkly deer head, I have a consolation prize for you! Please send me your mailing address at: cowboysandcrossbones@yahoo.com and I will get your gift out to you. Thanks for entering and I’m so glad you made it home for the holidays – and your birthday! Hey! 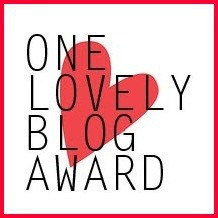 I’ve nominated you for the Liebster Award – check out my post about it here: http://adventuresinnails.wordpress.com/2013/03/21/liebster-award-and-a-couple-of-others-too/ I love your blog and hope you’ll accept the award!